Matthew and I celebrated our fourth wedding anniversary yesterday. The traditional fourth wedding anniversary gift is flowers or plants but as we are on a bit of an economy drive at the moment we agreed no presents (though Matthew did, naughty boy, buy me some freesia’s which are one of my favourite flowers). 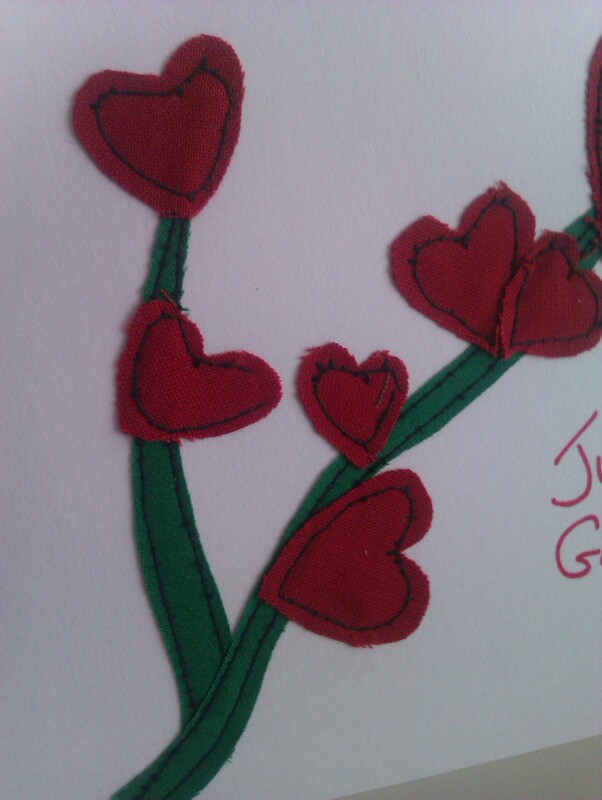 I decided to make a card for him using the freehand machine embroidery technique that incorporated flowers but as I thought about it the theme developed and in the end this is what I made. 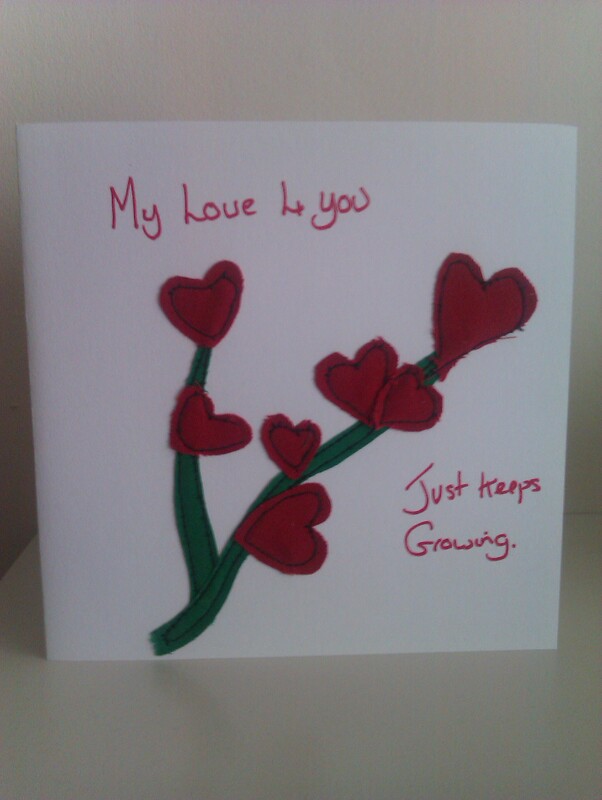 I decided that the flowers on the stem could be hearts, but I also wanted to show that love is something that grows. If I’d had a bit more time I would have machine sewn the message too, but I still have a bit of difficulty when ‘writing’ with the sewing machine. 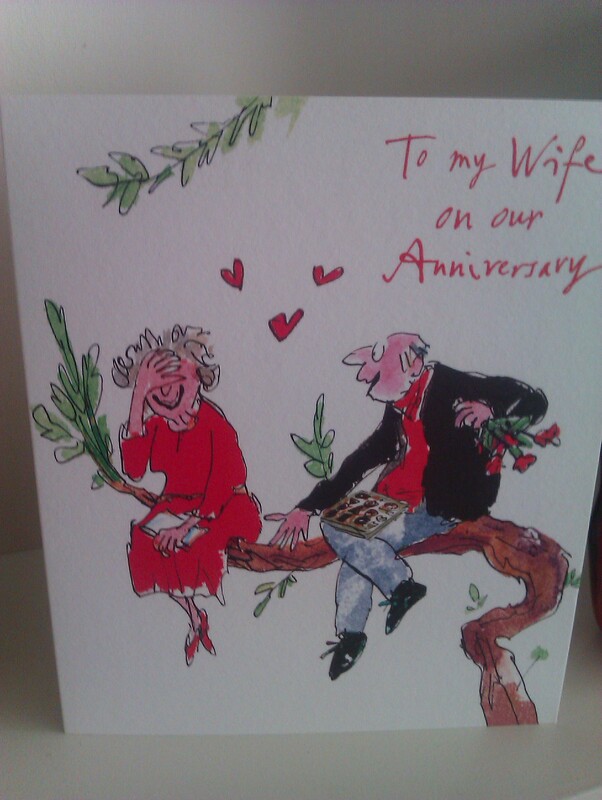 Matthew’s card to me was a Quentin Blake and I love the idea of growing old together and that he will still be buying me flowers! As luck would have it yesterday was one of our ‘fast days’, so there was no celebratory meal. However we are going out tomorrow night with some friends which looks like it’s going to be a great evening! Next year the anniversary gift is wood – so perhaps I need to get thinking on that. In the meantime what was your best ever anniversary gift – bought or received? « What Shall I Wear?